Freelancing in the Gig Economy #Infographic ~ Visualistan '+g+"
The gig economy is the name given to the wide range of freelance opportunities that have arisen thanks to the technological age. Long ago freelancers were only writers and artists, and only until they could find a “real job.” Now freelancing IS the real job and working for someone else is a total drag. Whether you run a consulting business or walk other people’s dogs through an app, the gig economy offers a level of autonomy that many people find liberating. You can be a healthier and happier version of yourself when you are calling the shots. There are some downsides, however- freelancers have to purchase their own health insurance policies, fund their own retirement accounts, and square up their own payroll taxes. It’s not for the faint of heart, to be sure. 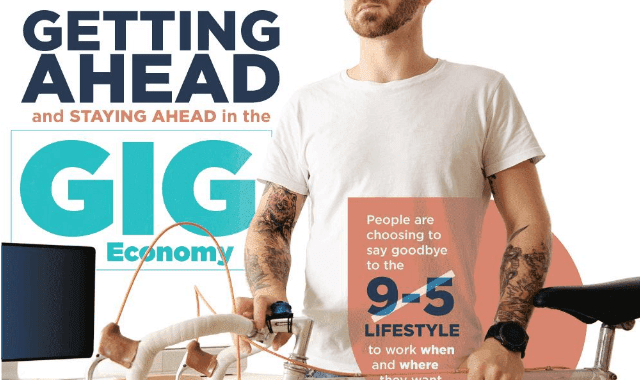 Learn more about the merits of the gig economy and how to thrive within it from this infographic!